There is a fair amount of variety amongst the various commercially available Hoisin sauces, both in ingredients and in characteristics. The thickness and color can vary considerably (the Lee Kum Kee product is relatively thick and dark, as you can see above) but these characteristics are not, in themselves, an indicator of quality. 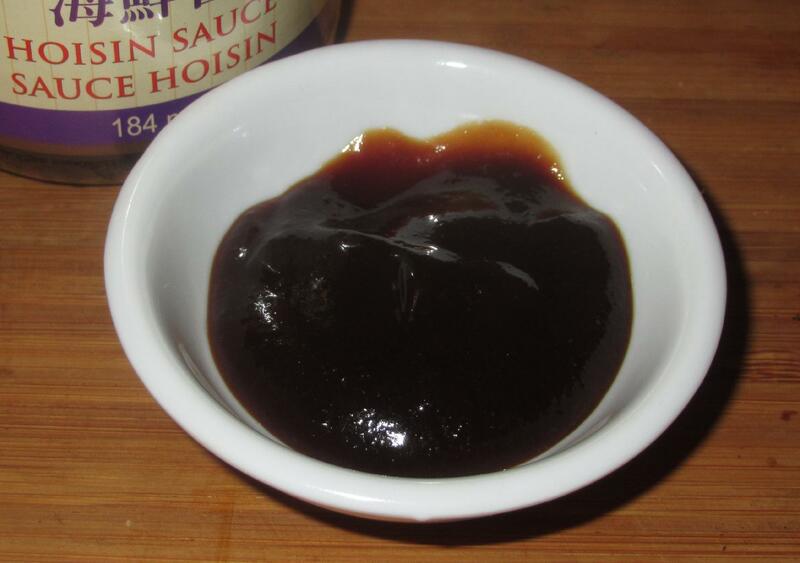 Hoisin sauces are typically based on a starchy ingredient as a carrier for the seasoning. Wheat, sweet potato and, in some cases, pumpkin, provide this, but soybean paste, fermented or otherwise, is also a major component. Here, it is significant that the starchy component is listed quite far down the list and includes sweet potato flour rather than the whole product. Most telling is the fact that sugar is listed first, indicating that it is the primary ingredient…. Hoisin sauces, beyond the sweetness, tend to have a rather ‘malty’ taste that is a bit like the umami quality of oyster sauces absent the marine flavor. This particular variety, unsurprising given the sugar quantity, is very sweet and, especially due to the fermented soy, quite salty. It has a fruity component, a bit like commercial plum sauces, and really needs an acid to balance it out. As a condiment, or dipping sauce, for various dishes (spring-rolls or dumplings, for example), Hoisin sauce can be used ‘as is’ or else diluted with rice wine, vinegar, water, or any number of other ingredients. One culinary use which is not uncommon is as a glaze for barbecued dishes (ribs, chicken and salmon especially), but it is also useful as a ‘binder’ or flavoring agent for dumpling fillings. 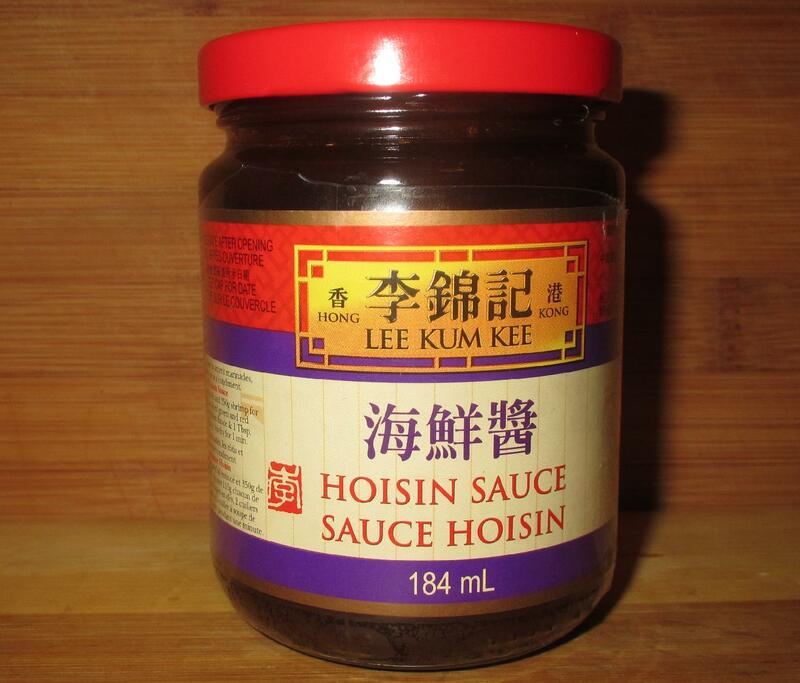 In my kitchen, I have also found it to be a great base for stir-fry sauces and, in upcoming posts we will be investigating this a little further…. It will be good to add hoisin sauce to marinate ribs/chicken wings for bbq. Add minced garlic, oyster sauce, sweet soy sauce, salt and pepper.. yum ! I make some killer short ribs with hoisin, garlic and beer. Love the stuff!